Who loves Deviled Eggs?? 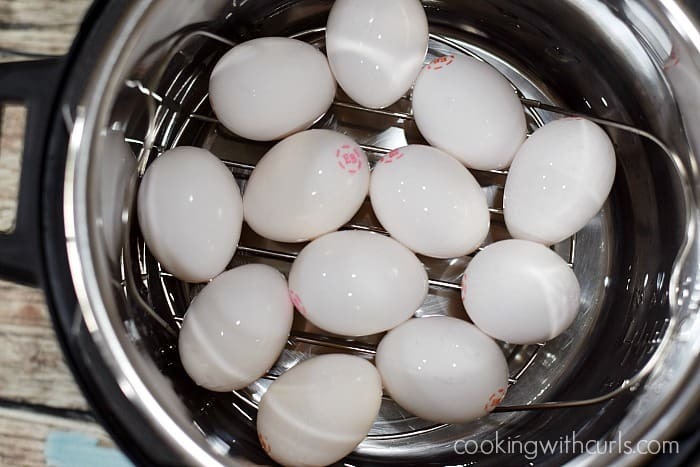 I know I do, and so do my kids…but getting perfectly cooked eggs with easy to remove shells is hit or miss. 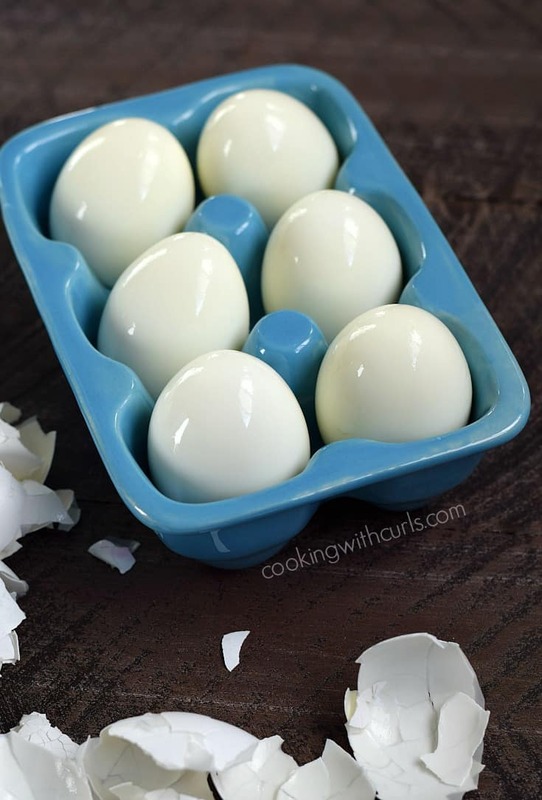 I end up destroying several eggs while trying to pry the shells off! 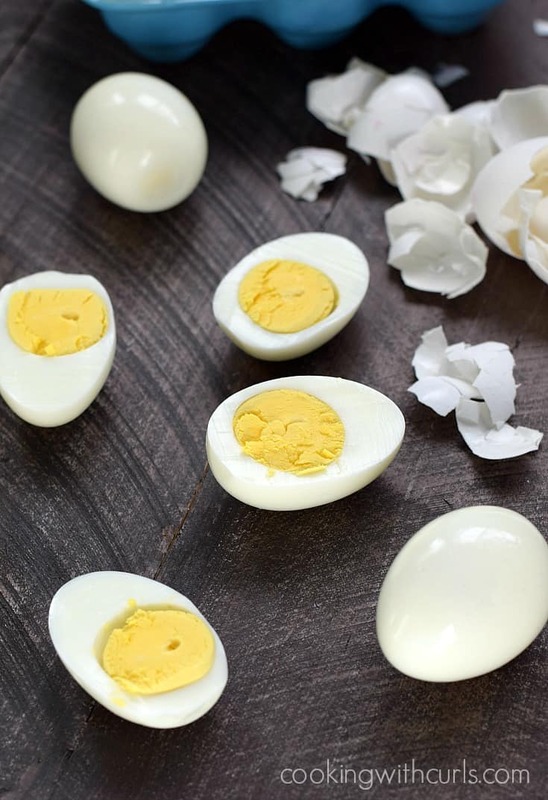 Well those days are over now that I have figured out how to make Instant Pot Hard Boiled Eggs…..
Why make hard boiled eggs in an Instant Pot? Add one cup of water to the pan. Close the lid and set Instant Pot for 5 minutes on Manual at HIGH pressure….. 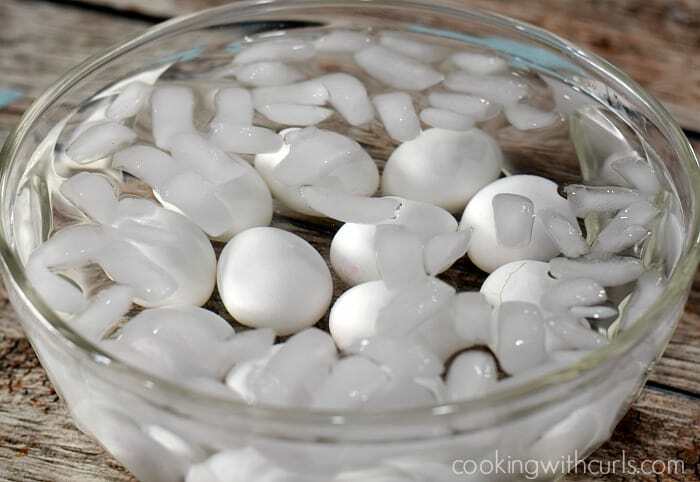 Remove from the ice bath and peel or store in the refrigerator until ready to use….. I followed instructions as shown and my eggs weren’t cooked all the way through, and didn’t peel right off after the ice bath, so I had to toss a dozen eggs out. How much longer should I cook them for? Each pot works a bit differently, Elvira so you will have to try different times to find the right combination for you. 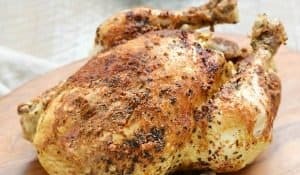 I have seen people swear by cooking for 2 minutes and natural release for 10 minutes, and others that swear by cooking for 6, releasing for 6, and ice bath for 6. I wish they all worked the same, it would be so much easier! 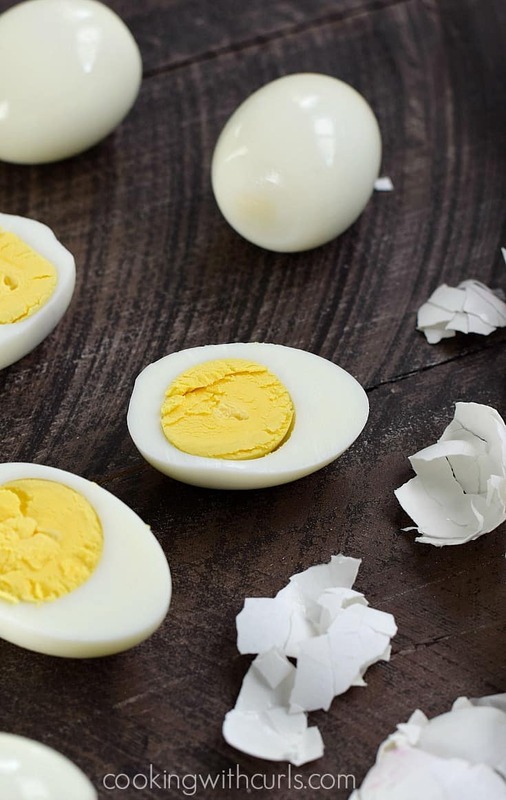 A comment for those who found their eggs weren’t completely cooked: I realized after trial and error that I needed to adjust the cooking time for different-size eggs. Five minutes seems fine for large eggs, six for extra-large, seven or eight for jumbo. And I have cooked as many as 14 eggs at one time. After the 5 minutes when I do the natural pressure release do I turn the Instapot off while it is naturally releasing? Hi Allison, no you do not need to turn the pot off while it is releasing. Love this!! Brand new carton of eggs from the store and they cooked up perfect and peeled like a dream!! 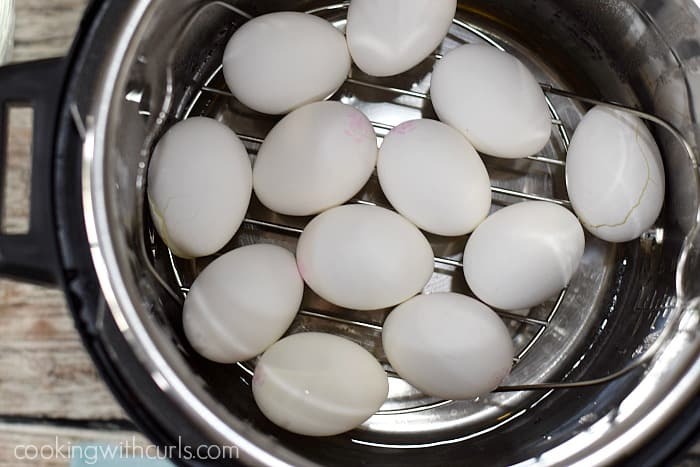 New way to make hard boiled eggs forever! I am so new to this, I’ve just got Instant Pot TODAY! I am so excited. 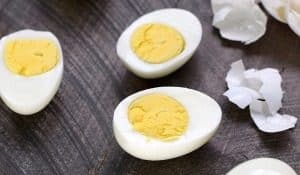 I have a question: have you tried to do soft boiled eggs? 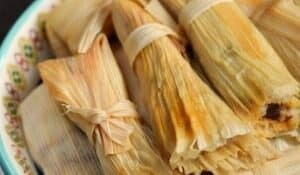 My kids love it and they are hit or miss on the stove. Any advice? I leave mine I the IP til they cool. Then put then in the carton to put in the fridge. when needed use a teaspoon to slip under the cracked egg top where the air sack is. 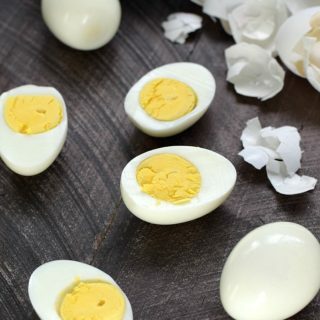 Always ready for egg salad, top a salad or a quick bite. Love my IP, next best kitchen appliance to a convection oven. I actually just made 18 and they turned out perfectly!